A lot of times people are not making clothes anymore but embellish even the simplest things. This is just one great idea of what you can do! 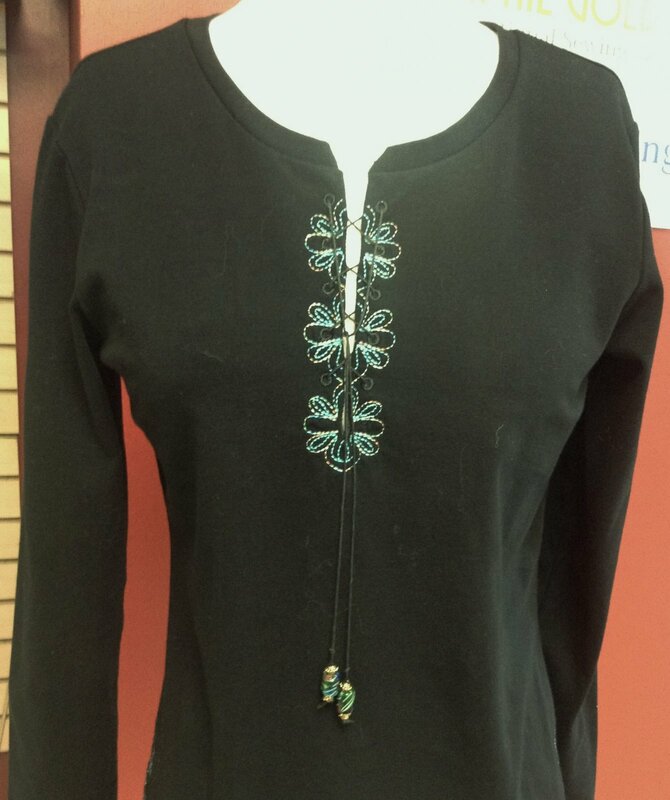 The embroidered eyelet neckline transforms your plain T-shirt into your stunning designer original!